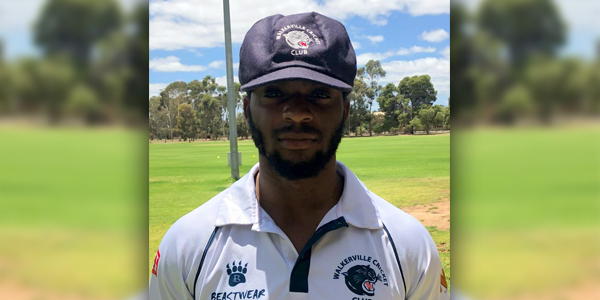 Bernews – Bermuda’s Kamau Leverock and his Walkerville Cricket Club teammates went down by 2 wickets to Flinders Park in their City Holden Smash Twenty20 Division 1 Match at the Adelaide Turf Cricket Association. Bermuda’s Kamau Leverock and his Walkerville Cricket Club teammates went down by 2 wickets to Flinders Park in their City Holden Smash Twenty20 Division 1 Match at the Adelaide Turf Cricket Association. Walkerville Cricket Club batted first and scored 170/3 in their 20 overs with Leverock leading the way with a knock of 85 off 50 deliveries, he hit 4 fours and 6 sixes. Thomas Cousins was the pick of the Flinders Park bowlers with figures of 4-0-22-2. In reply Flinders Park Cricket club scored 161/8, but they were awarded 10 Penalty Runs as Walkerville Cricket Club failed to bowl their overs in the required time. Taylor was their top scorer with 40, while Scott Blackmore was the pick of the Walkerville Cricket Club bowlers with figures of 4-0-17-2, Leverock bowled 3-0-29-1.